The Water Institute the Gulf is an independent research institute dedicated to advancing the understanding and engineering of coastal, deltaic, river and water resource systems, both within the Gulf Coast and around the world. 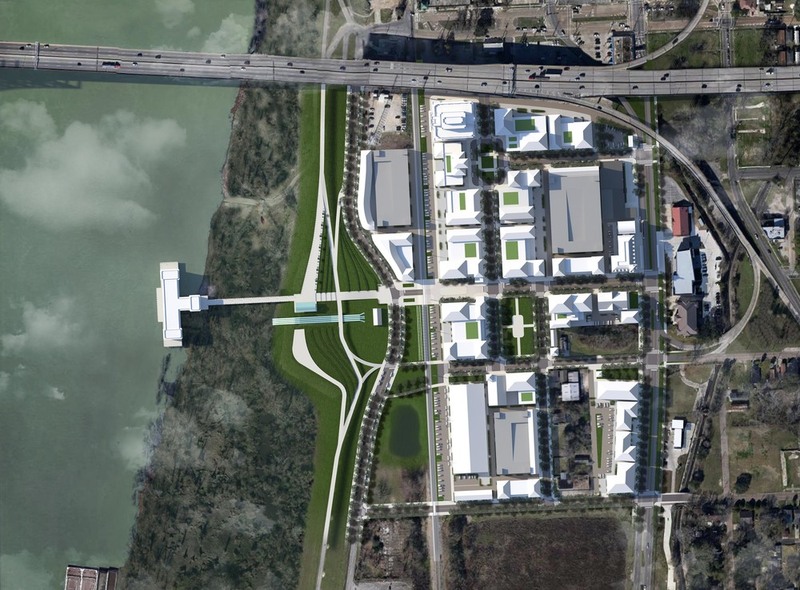 The Baton Rouge Area Foundation commissioned Dover, Kohl & Partners in 2013 to design the 30 acre campus that will be the new home of The Water Institute of the Gulf. The campus is expected to grow into a major center for the science and research of river deltas. Among the first buildings is a 50,000 square foot River Modeling Center that houses a 90-by-120-foot physical model of the lower Mississippi River. 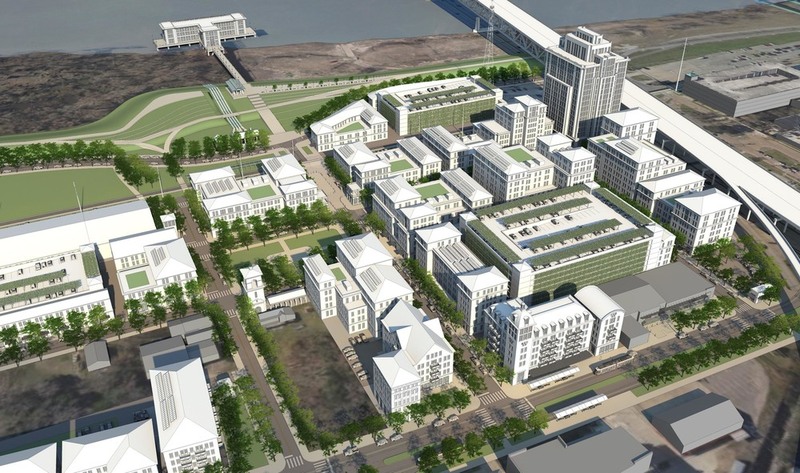 In a city that is mostly cut off from the river by a large levee and industrial uses, the campus will also help to reestablish the city’s relationship to the river by connecting directly to the old city dock.